It's hard to say if one can find a more beautiful spot than Maine's Blue Hill Peninsula. Many of our waterfront homes have their own beaches. You can wake up to the sun reflecting off the water and go to bed at night with exquisite sunsets. Watch the sailing or go for a sail and bring your children and dog and take it all in together. The Maine experience at its finest. 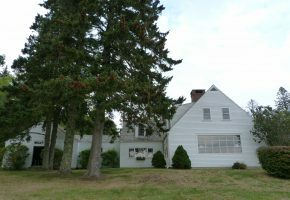 1798 House located in East Blue Hill, Maine with 5 Bedrooms, 3 Full and 2 Half Bathrooms and the room to sleep 10. It’s available Spring/Summer/Fall. 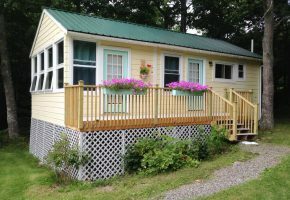 The Barnacle located in South Brooksville, Maine with 4 Bedrooms, 1 Bath and the room to sleep 7. It’s available Spring/Summer/Fall. 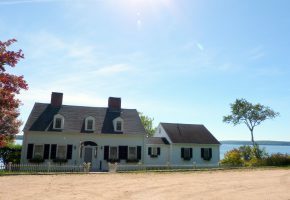 Benjamin Point overlooking the Benjamin River and Eggemoggin Reach in Brooklin, Maine with 1 Bedroom, 1 Bathroom and the room to sleep 2. It’s available Spring/Summer/Fall. 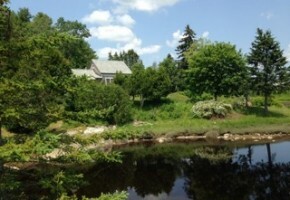 Blue Heron located in Gouldsboro, Maine with 2 Bedrooms, 1 Bathroom and the room to sleep 4. It’s available Spring/Summer/Fall. 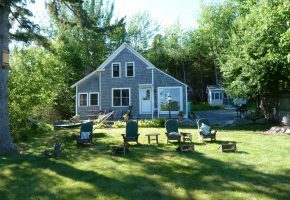 Bobolink Cottage is located in East Blue Hill, Maine with 3 Bedrooms, 2 Bathrooms and the room to sleep 6. It’s available Spring/Summer/Fall. 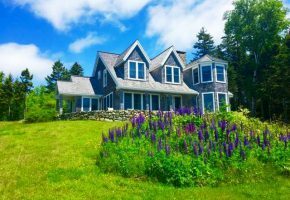 Bracken Cottage located in West Brooksville, Maine with 4 Bedrooms plus Queen sofa bed, 4 Bathrooms and the room to sleep 8-10. It’s available Spring/Summer/Fall. 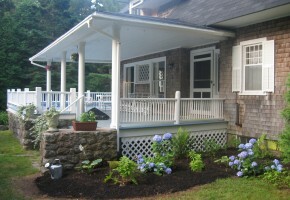 Castine Cottage is located in Castine, Maine with 1 Bedroom, 1 Bathroom and the room to sleep 2. It’s available Spring/Summer/Fall/Winter. 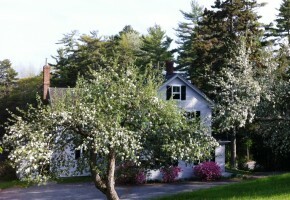 Cobbler’s Cottage located in Sedgwick, Maine with 2 Bedrooms, 1 Bathroom and the room to sleep 4. It’s available Spring/Summer/Fall. TWIN OAKS is located close by and has room for 6 additional guests. 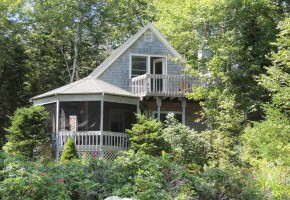 Cove Cottage located in East Blue Hill, Maine with 3 Bedrooms, 1½ Bathrooms and the room to sleep 5. It’s available in July and August. 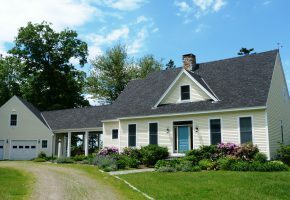 Eagle’s Nest on Newbury Neck in Surry, Maine with 2 Bedrooms, 2 Bathrooms, PRIVATE TENNIS COURT and the room to sleep 4. It’s available Spring/Summer/Fall. 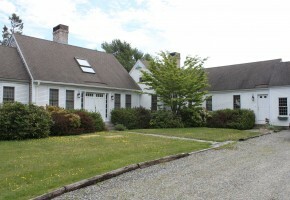 Forest Farm in Harborside, Maine with 3 Bedrooms, 1 Bathroom and the room to sleep 7. It’s available Summer/Fall. 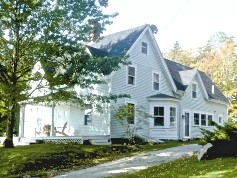 Greene’s Corners located in Blue Hill, Maine with 3 Bedrooms, 1 Bathroom and the room to sleep 6. It’s available Spring/Summer/Fall/Winter. Gruesome Gables on Parker Point in Blue Hill, Maine with 5 Bedrooms, 3½ Bathrooms and the room to sleep 10. It’s available Spring/Summer/Fall. Harbor’s Edge located in Brooklin, Maine with 3 Bedrooms, 2 Bathrooms and the room to sleep 6. It’s available Spring/Summer/Fall/Winter. 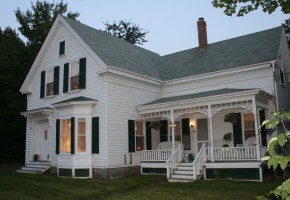 Haven House is located on the Benjamin River in Sedgwick, Maine with 3 Bedrooms, 3½ Bathrooms and the room to sleep 6. It’s available Summer/Fall/Winter. 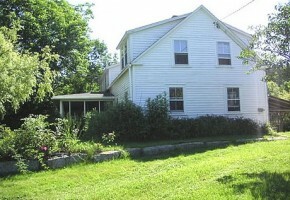 Mandalay located in Brooklin, Maine with 3 Bedrooms, 1 Bathroom and the room to sleep 6. It’s available Spring/Summer/Fall. 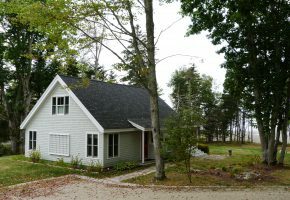 Mini Quiche Cove overlooking Blue Hill Bay in Brooklin, Maine with 2 Bedrooms, 1 Bathroom and the room to sleep 4. It’s available Spring/Summer/Fall/Winter. 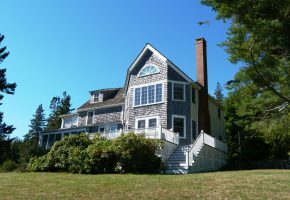 Quiet Harbor is located in Brooksville, Maine with 6 Bedrooms, 4 Bathrooms and the room to sleep 10. PRIVATE TENNIS COURT. It’s available Spring/Summer/Fall. 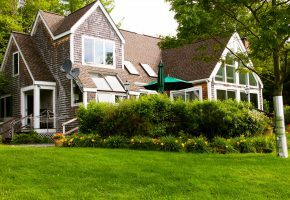 Sandpiper is located in East Blue Hill, Maine with 4 Bedrooms, 3½ Bathrooms and room to sleep 8. It’s available for a Winter rental. 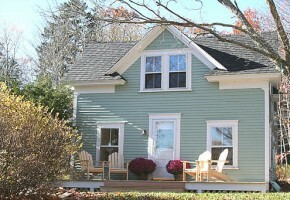 Seaglass Cottage located in Castine, Maine with 3 Bedrooms, 2 Full Bathrooms and the room to sleep 6. It’s available Spring/Summer/Fall/Winter. 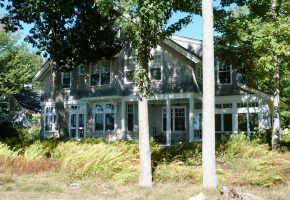 Seaview is located in South Blue Hill, Maine with 3 Bedrooms, 5 Bathrooms and the room to sleep 8. It’s available Spring/Summer/Fall/Winter. Twin Oaks is located in Sedgwick, Maine with 3 Bedrooms, 1½ Bathrooms and the room to sleep 6. It’s available Spring/Summer/Fall. 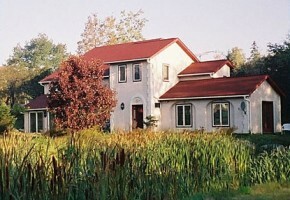 COBBLER’S COTTAGE is close by and offers room for 4 additional guests.